Welcome to A Sampling Bee! Today, I share with you a subscription box from Peaches and Petals! 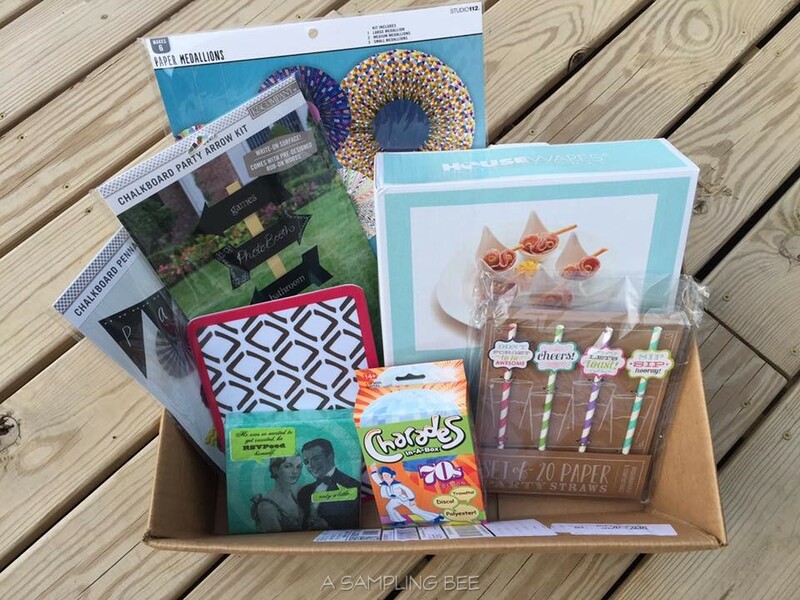 The Peaches and Petals subscription box is a monthly box full of lifestyle items. Each box is hand curated. Each box will contain 3-6 items. What type of items are in the box? Jewelry, scarves, new beauty products, pampering products, party products, etc! So, what was in May's box?.. There were so many items in this box! So many that Peaches and Petals had to send everything in a normal shipping box rather than a typical subscription box. I really enjoyed opening this box. I was excited to see what kind of items I would find inside. To my surprise, I found out that May's box was full of fun party supplies! 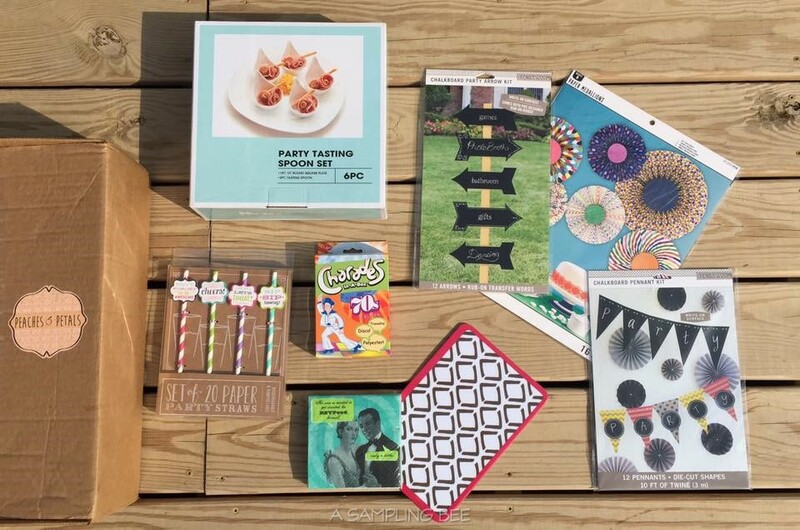 I really love the Chalkboard Arrow Kit and the Chalkboard Pennant Kit. These are great because they can be customized. You can write whatever you want on them. The Paper Medallions make for a great decoration and the Charades Game makes a party fun!